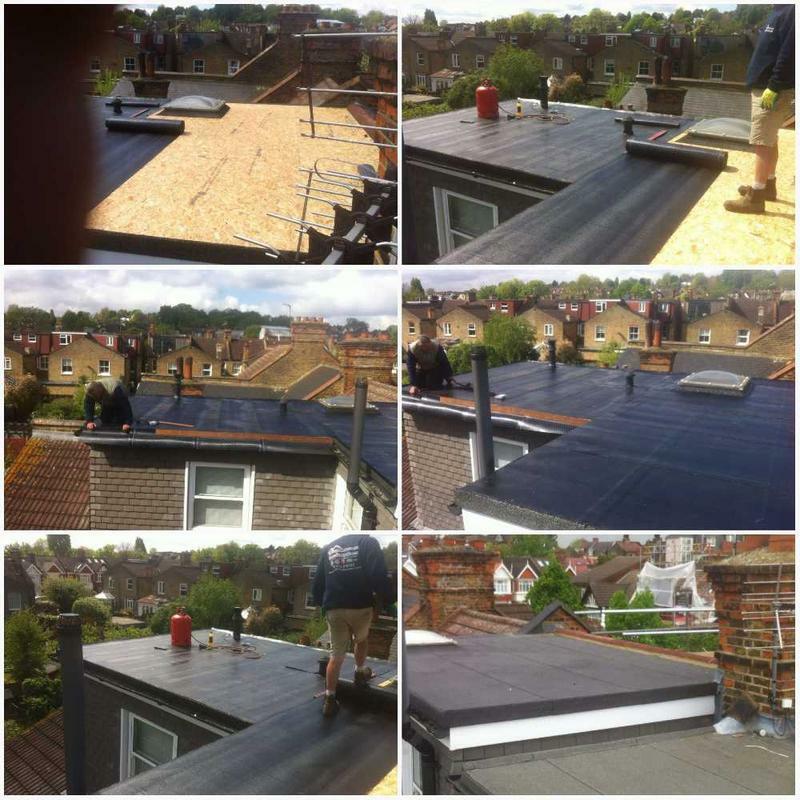 Fibreglass Roofing in Kingston, KT1 3DU. Covering Surrey, London and Middlesex areas. 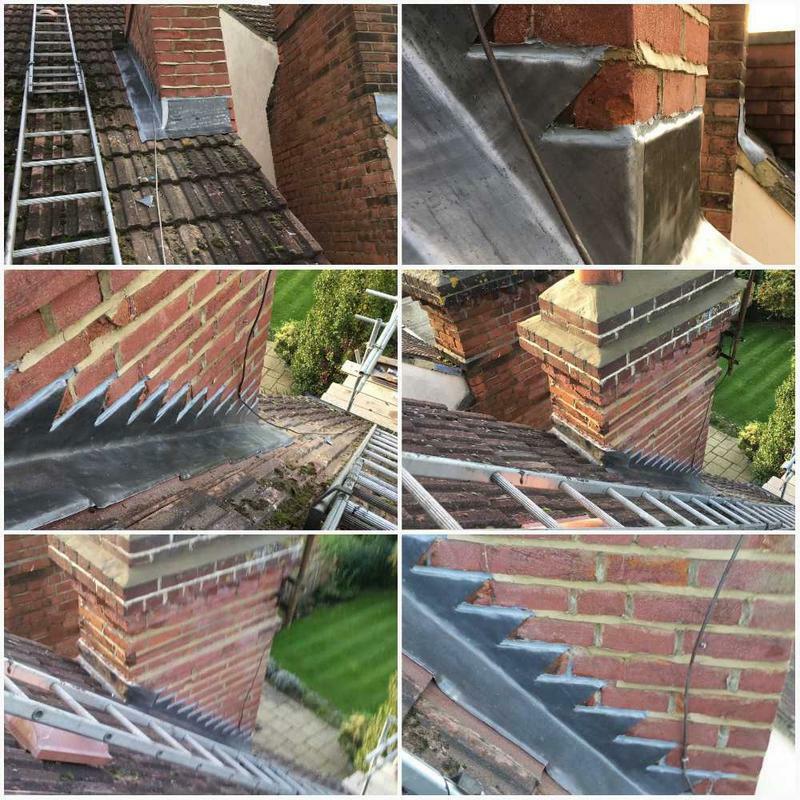 We are a Surrey based roofing company that has been providing high quality roofing services for more than twenty six years. 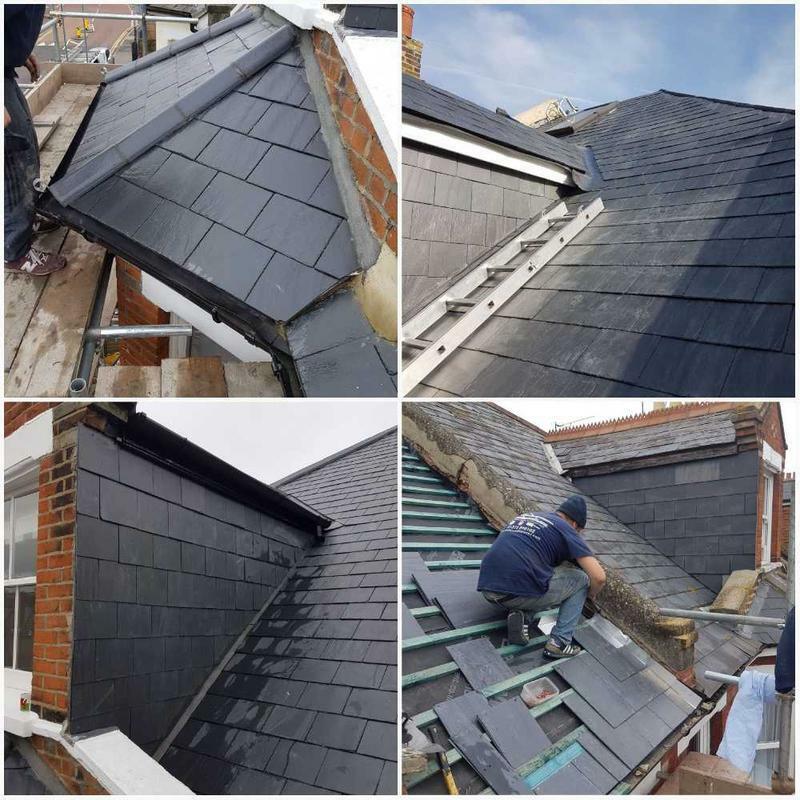 Flat roofs are a speciality and we are able to offer a choice of fibreglass flat roofing and EDPM rubber flat roofing, alongside traditional felt roofing solutions and flat roof repairs. 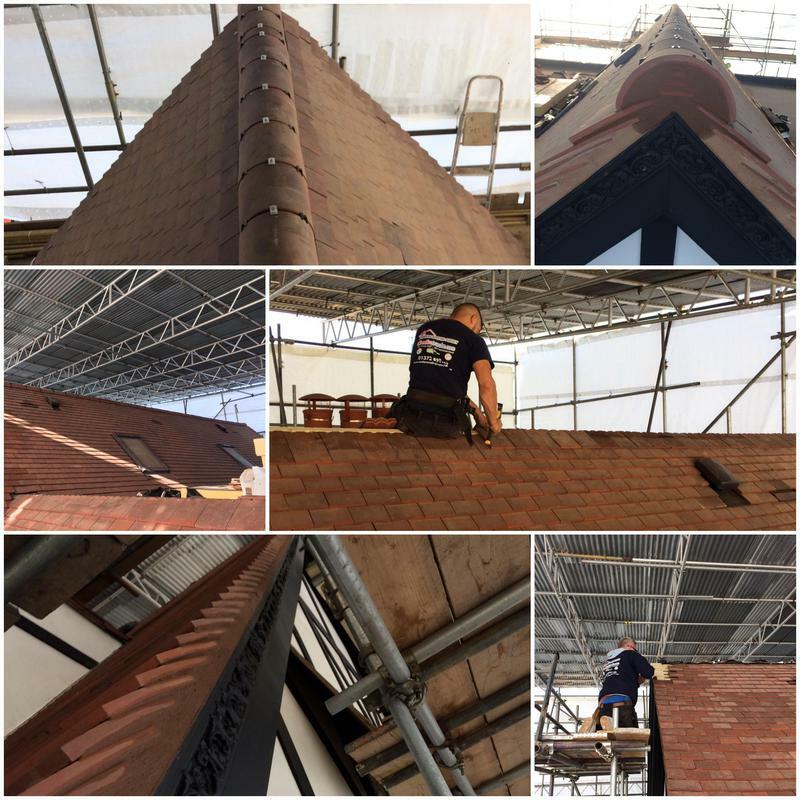 Whether you are a homeowner or responsible for commercial premises, you can rest assured that we have years of experience in both residential and commercial roofing services. 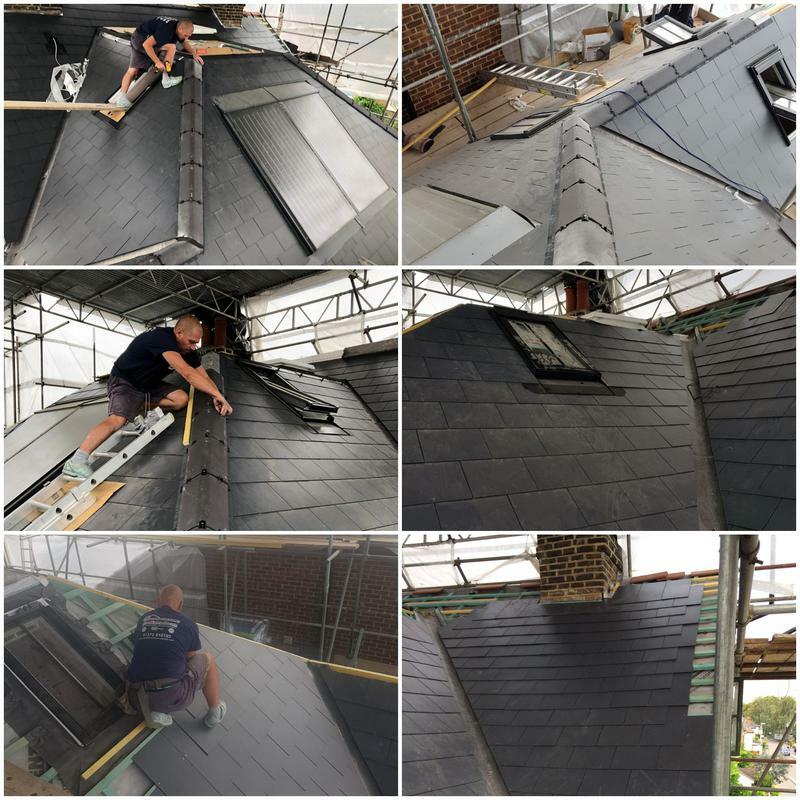 We undertake all roofing work from tiling and slating to general roofing maintenance and repairs, with no job being considered as too big or too small. We guarantee a high standard of workmanship every time, with outstanding customer care. 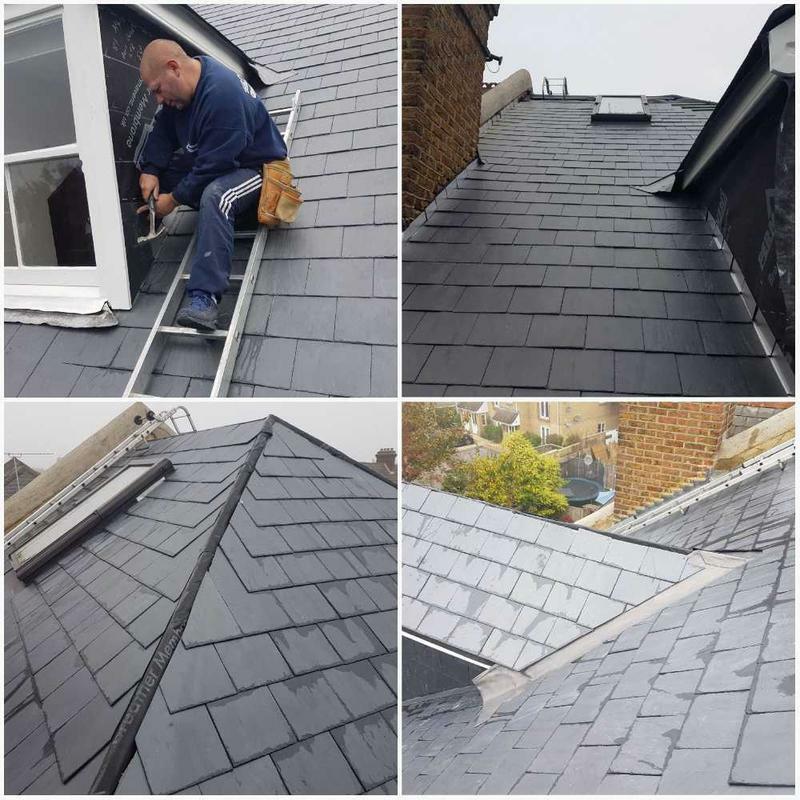 We offer a Free Roofing Inspection Service which incorporates a written report on the condition of your roof, an 'easy-to-understand' breakdown of the options available to repair or replace your roof, as well as a firm, written price quotation for any works required. We don't want or expect you to agree, book, or go ahead with any works on the day we inspect your roof. We don't take deposits for work and will provide you with all the necessary information to make an informed decision in your own time. Please note: If you are one of our Senior Citizens we are happy to offer you a 5% discount on any works. However, we always advise that you first tell a family member, friend or neighbour if you intend calling any service company. Image 1 - New Plain Tiled Roof In KT2 With A Ten Year Insurance Backed Guarantee. "Excellent work, completed efficiently and courteously." "Very professional and courteous group of people to deal with, very good communication all the way through the 3 week job, and all work completed as agreed plus extra elements completed on their own volition and without extra charge." "Lee and his team have been great. They were flexible with their timing and did a great job. Great communication throughout the whole process. Best thing about their service is that they are very clear about what needs to be done and provide options based on their wealth of experience. This is the second time we have used them and I can't recommend them enough." "Swift communications, very much appreciated. Friendly and polite manner which is very much valued."